UTA received the request on the 02 February 2013 to conduct borehole test to check the quality and capacity of the borehole for Alona Fresh Produce. Brain and Eleanor Swart are the only beneficiaries of this project. 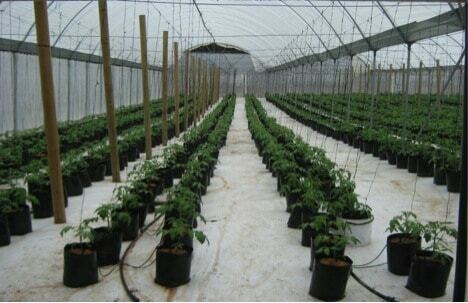 During the time when this request was put forth, the farmers were farming tomatoes in a tunnel that covered 3000m² and were envisaging to add an additional multispan greenhouse and olives in the product mix. The UTA conducted the borehole assessment through Pumpcor. The tests revealed that the borehole water is of good quality and it is sufficient for the expansion. To that effect, the farmers went ahead and expanded their operations with the multispan greenhouse that measures 3300m² which houses up to 12 000 tomato plants. The farmers are very optimistic about the project and they have harvested their first crop in October/November last year and sold the crop to the Spar retailers in the vicinity and the Fruit and Veg Cities in Herman us and Gansbaai. Currently this project provided permanent employment to 10 people and also provide seasonal work during harvesting period. The farmers have already planted the crop for this season and they are envisaging to maximize the yield potential See the pictures of the plantation below.